While games like Guitar Hero and Rock Band might be going to the way of last gen, rhythm music games are ever popular in Asia, especially when the games are made for mobile. Tencent's Rhythm Master game is especially popular in China, where the game has been consistently topping the charts in app rankings since it was released this past June. Off the bat, Rhythm Master doesn't seem like it's much to write home about. It's a simple falling note type of rhythm game akin Dance Dance Revolution and Guitar Hero. In terms of game play, it's actually lacking—where missing a note in Guitar Hero would affect how the music sounds in game, nothing happens in Rhythm Master. So, what's the appeal? The thing with Rhythm Master is that it's an entry point to popular Asian music. 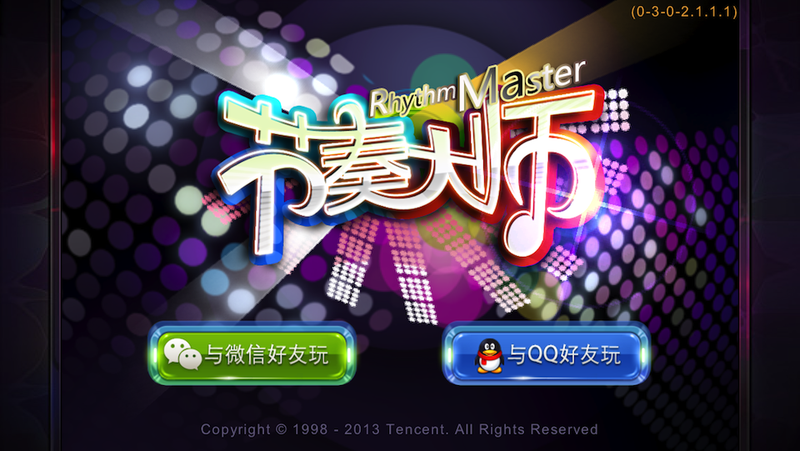 Rhythm Master allows the player to listen some of the most popular songs in China. As the player plays the game, they're given coins that they can then use to spend on more songs. It's more of a music play list than a game per se. Another key feature of the game is its integration to Tencent's mega-chat platform WeChat, which is growing at a ridiculous pace in China and it's even prompted the Chinese telecoms to petition the government. One of the key features in the Chinese version of WeChat is the ability to play games with other WeChat users and share scores (think Facebook games but for mobile devices). The game is available for both iOS and Android and the WeChat functionality works across both platforms. The variety of music available on Rhythm Master is actually very impressive. Players can choose from video game theme music to what's on the Asian equivalent of the billboards. All of this is that music in-game is available through the use of in-game currency. If a player ends up spending all their in-game currency, they can use real-world cash to purchase more game coins.